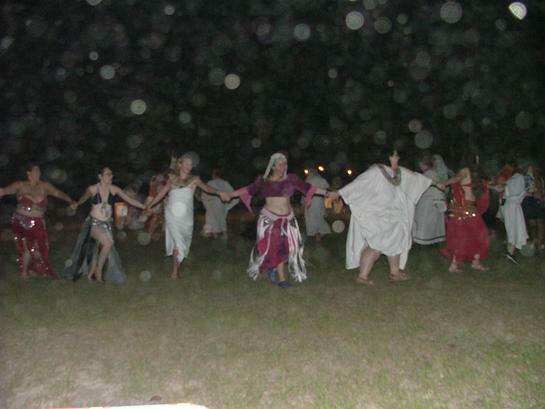 Please refer to the Events page on my store website for my activities and classes at http://www.lunasolesoterica.com/. 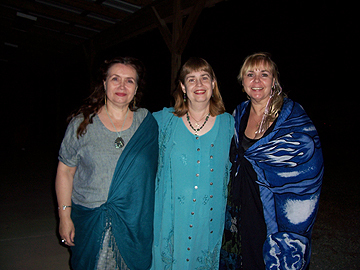 Luna Sol Esoterica also has many other events, classes, and festivals lined up. The 8 Sabbats are celebrated with open circle rituals at the store, normally at 1pm on a designated Saturday, so if you are in the area and would like to attend, just check the listing on the store's Events page for the Sabbat dates towards the bottom of the page. Luna Sol Esoterica keeps me very busy, so I limit my travel so as not to be away very long. Be sure to check the store website for all the classes and presenters, the events, and festivals being held at there. 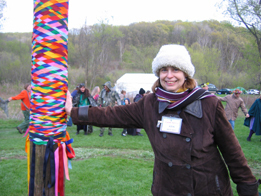 I had a terrific time at Circle Sanctuary's Beltane Festival in May 2005, but as you can see it was a pretty chilly May Day in Barneveld, Wisconsin. That night there were snow flurries! Selena Fox throws a terrific celebration, however, and everyone had fun despite the cold weather. MAY 12 and 13, 2007 -- IN MID-MAY, 2007, JANET FARRAR AND GAVIN BONE VISITED FLORIDA FOR FLORIDA PAGAN GATHERING AND SPENT SOME TIME VISITING LOCAL SHOPS BEFORE HEADING BACK TO IRELAND. 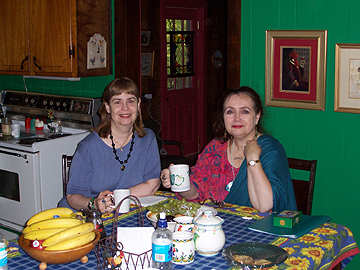 I had the pleasure of sharing a cottage with British author and scholar, Caitlin Matthews at Cymry Con 2006. Her Faerie knowledge and Bardic style were a delight to all, and her books are truly wonderful. 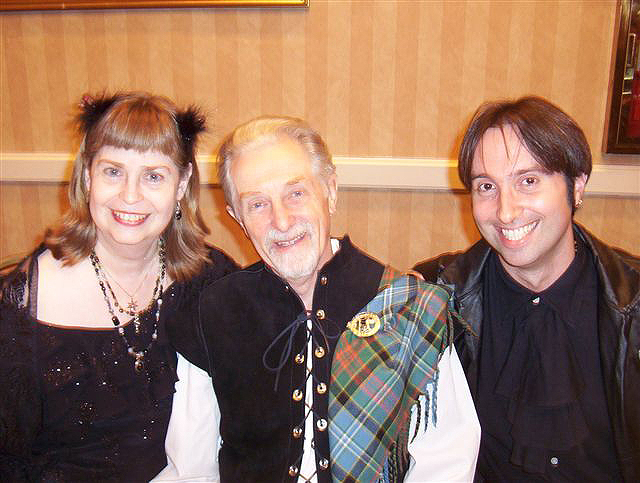 Caitlin Mathews, myself, and Edain McCoy posed for a night photo at Cymry Con 2006. We were all very impressed with the site and the warm hospitality. It is always fun getting together with Dr. Raymond Buckland and Christopher Penczak. 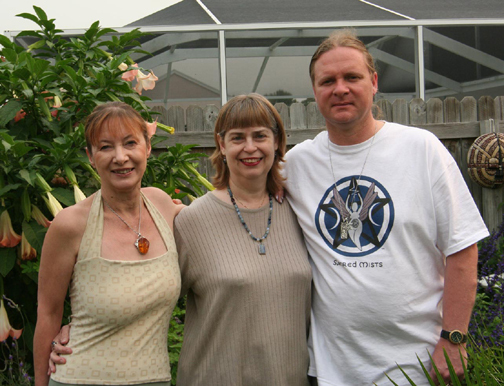 Christopher will be returning to Luna Sol Esoterica on April 7, 2017 -- Friday evening Meet and Greet/Book Signing 6pm - 7pm (no cost); "Plant Spirit Familiars Workshop" 7pm - 9pm ($25) -- Prepaid reservations required for the workshop. See details on the store website. I enjoyed this event immensely, and enjoyed my time with Janet Farrar, Gavin Bone, Edain McCoy, and Selena Fox. 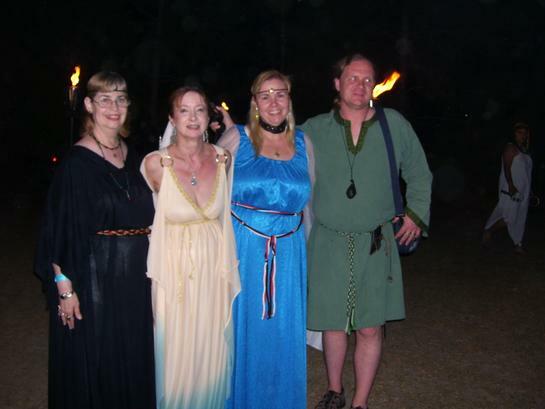 Here I am with Janet, Edain, and Gavin after the Beltane Ritual. 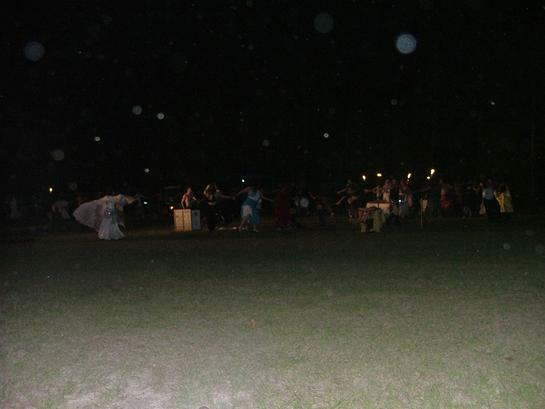 The ritual was presented by Coven of the Goddess Moon, and here are pictures of Isis and of Isis with Osiris. Druydess of Rowan Grove made a stunning Isis! 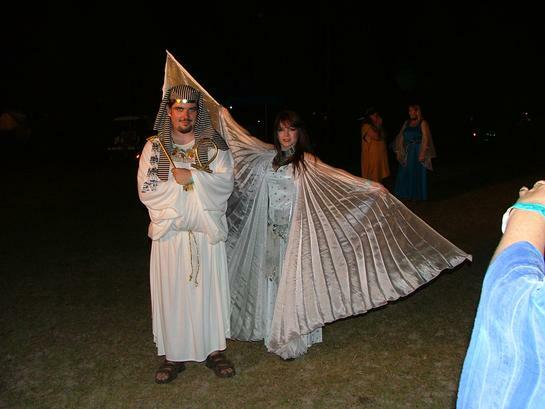 Gavin took photos after Lord Morpheus and Lady Danu called upon the Ancestors to join us at the ritual, and boy did they arrive! 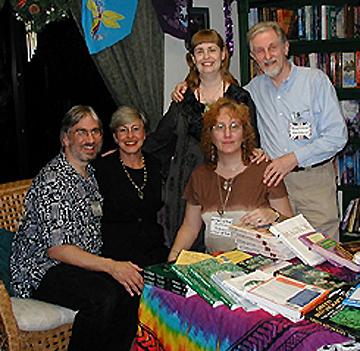 I arranged for this fun book signing with Llewellyn authors prior to INATS EAST in 2004. 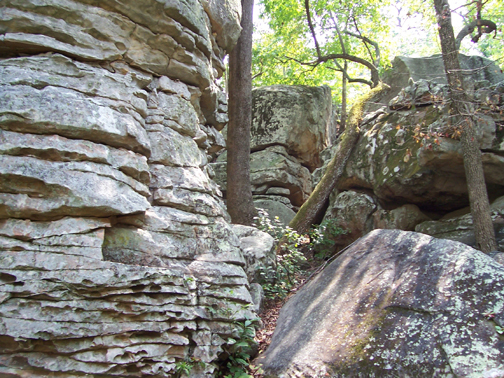 Authors are Carl McColman, Dorothy Morrison, Ann Moura, Raymond Buckland, and Trish Telesco. After a couple of years, INATS (International New Age Trade Show) limited their venue to Denver, CO.